How to Close Unresponsive Programs on a Mac OS X? You are here: Home / Mac / How to Close Unresponsive Programs on a Mac OS X? How to Terminate Unresponsive Application? You can view a list of running application. 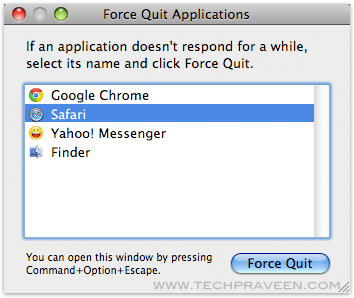 Select the application you wish to terminate and click Force quit. 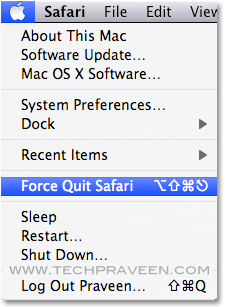 The shortcut to launch Force Quit is Press Command+Option+Escape. What to know more Mac OS X Shortcut keys to work fast? Then checkout this article, Mac OS X Keyboard shortcut list.